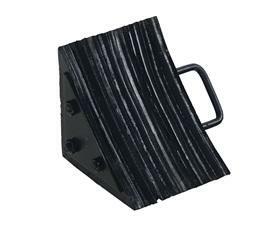 A popular chock - thanks to functional design and durability. Cord reinforced rubber provides a sure grip on concrete or paved surfaces. Curved surface snugly fits tires. 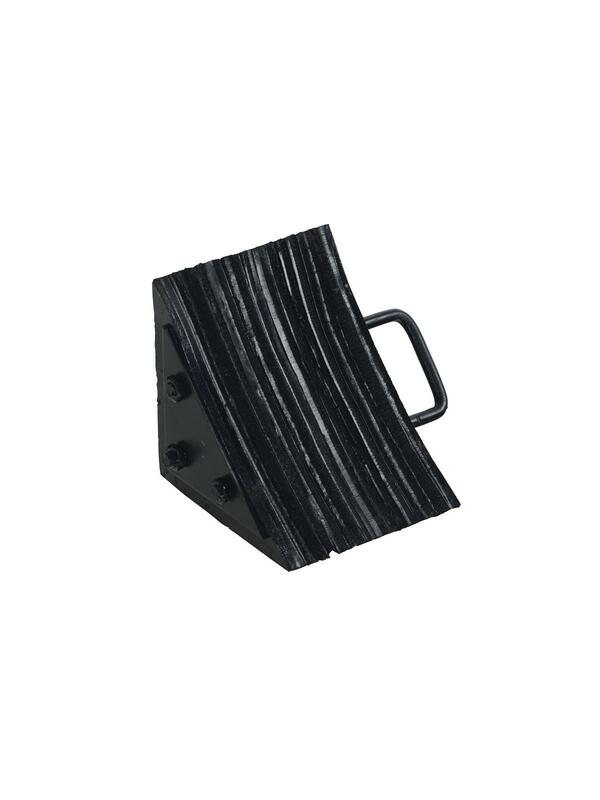 Chock measures 7-7/8" W x 11-1/4" H x 7-3/8" D. Overall width with handle is 11". Meets OSHA requirements. FOB Shipping Point. HLWC-15 13 7-7/8" W x 11-1/4" H x 7-3/8" D 11"